The payload for a wildfire-tracking satellite being constructed by a group of University of Alberta students, is getting airborne for the first time aboard a stratospheric air balloon. The payload for a wildfire-tracking satellite being constructed by a group of University of Alberta students is getting airborne for the first time aboard a stratospheric air balloon. 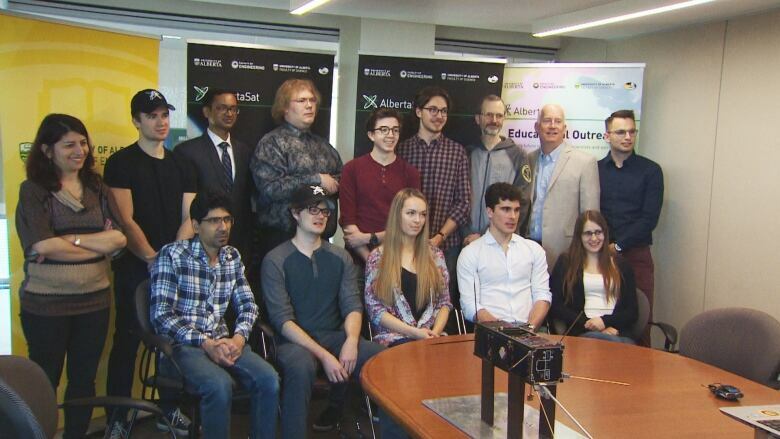 AlbertaSat — a group of about 50 graduates and undergraduates focused on designing new space technology — are preparing to test their design prototype with some logistical support from the Canadian Space Agency. The equipment, including a computer, radio and inhouse-built multispectral imager, will be launched into the stratosphere over northeastern Ontario this weekend, a critical test to ensure the gear ready for outer space. "It's going to take photos to predict and moderate wildfires," said Katelyn Ball, a fifth-year mechanical engineering student and AlbertaSat's deputy project manager. "This is an early version of the camera. Instead of sending it on a satellite all the way to space, we're testing it here on the balloon." The AlbertaSat team designed and built the first made-in-Alberta satellite, Ex-Alta 1. The small, cube-shaped satellite, about the size of a breadbox, launched from the International Space Station in April 2017 with a mission to gather information about space weather and its potential impact on power and communication systems. The new wildfire imaging equipment is destined to travel on Ex-Alta 2, a new cube satellite in development which is expected to be launched into space in either 2020 or 2021. The balloon launch, scheduled for Sunday at 4 a.m., is considered the next best thing to an actual launch. As part of the testing, it will ensure the equipment won't overheat, freeze or break down in the space, Ball said. 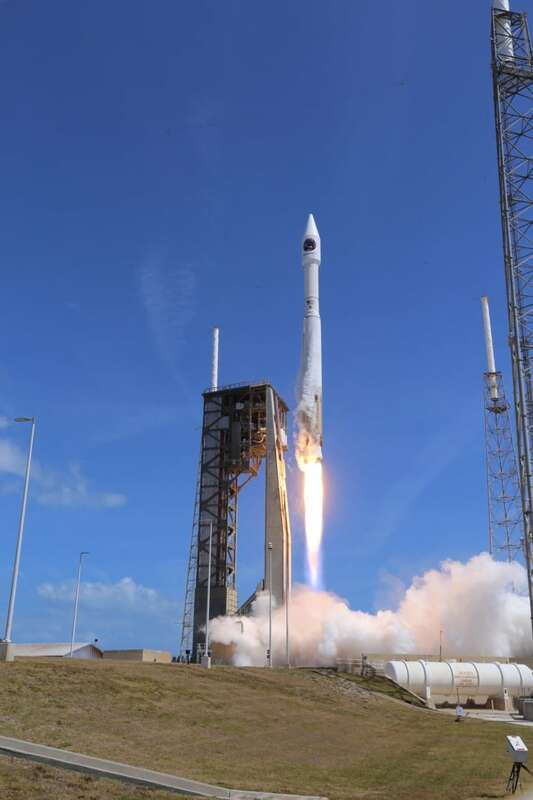 "This stratospheric environment mimics low orbit in the sense that it has super low temperatures and pressures, and there is also limited atmosphere which plays a big role in how heat is transferred throughout the system," she said. Ex-Alta 1 survived extreme radiation, computer crashes and nail-biting mechanical glitches during its maiden voyage through space. "We're kind of just throwing it onto the balloon for a test run," Ball said. "We have a very good idea of how it's going to behave but we don't know exactly what's going to happen, and those tests are super valuable because you find things you would never spot in a simulated environment." 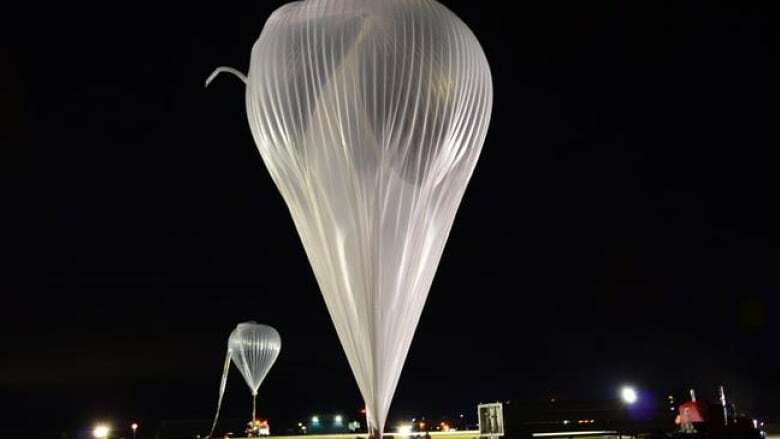 During the test run, a 35-storey white plastic balloon will lift into the air above the Canadian Space Agency's Stratospheric Balloon Base at Timmins, Ont., a specialized launching pad for the scientific space balloons. Once inflated with helium, the balloon and gondola filled with testing equipment will take a flight 30 kilometres above the ground. During its 10- to 12-hour maiden voyage, the team's satellite imaging equipment will regularly transmit its co-ordinates back to the Canadian Space Agency while gathering images of the ground below. The intent is to observe wildfire-ravaged landscapes by gathering highly detailed images of the ground below. The multispectral imager will be able to study the entire lifecycle of a wildfire, from the spread of smoke to the effects of scarring of the landscape. Ball said the team is already in contact with the Alberta government on how its research could enhance wildfire risk monitoring already being done by government agencies. Ball said the team was inspired to design the imaging gear after seeing the devastation caused by the 2016 wildfire in Fort McMurray. "Those wildfires were around the same time when we were deciding our primary objectives for Ex-Alta 2 and we thought it would be a great way to serve the public and keep people involved in our project," Ball said.